When you’re running a successful business it can be overwhelming to maintain an inventory and office space while building a clientele list. Add to that a biweekly or monthly office cleaning and it may seem you’re pulling your hair out to keep the business presentable and running smoothly. But keeping an office clean isn’t just a presentation issue. A dust-filled or dirty office not only makes your business look bad, it can be a health risk to you, your employees and potential customers. Dusting and wiping down surfaces can cut down on germs and dirt. And while you’re cleaning, don’t forget to clean and sanitize your floor. Floor coverings like carpet and acrylic can capture dirt and germs, recycling them in the air whenever someone steps across the fibers. Other types of flooring collect dirt and dead skin from hundreds of people in a day. These particulates can wreak havoc on those with allergies or sensitive immune systems. Sometimes cleaning your floor can be a liability issue. It is more common than many think for spills to occur on laminate, wood or even concrete flooring. Leaving a spill on your floor can cause slip and fall injuries resulting in serious medical costs and a possible lawsuit. Cleaning a spill up without placing the proper signage up warning of a wet floor can also lead to falls and lawsuits. Besides spills, outside weather can cause trouble for store owners, particularly during Greenville’s wet and rainy spring and early summer. Customers come in with wet shoes, umbrellas and dripping jackets and often stand in one spot to secure their umbrellas. This can lead to pools of water that should be mopped up immediately but are often neglected because of a naturally hectic environment. You wouldn’t try to clean carpet with a surface wax or mopping solution. Not all hard surface flooring should be cleaned with the same type of cleaner. In fact, there are specific cleaners that should not be used on tile or hard wood surfaces. Finished wood flooring shouldn’t be cleaned with harsh chemicals at all, but a mild or neutral cleaner that won’t seep into the grain of the wood. Asphalt tile/linoleum cannot be cleaned with harsh solvents either. A highly acidic solution will soften and in some cases, dissolve this type of flooring. Finally, tile flooring is highly impervious to most types of cleaners, but the grout that surrounds the tile can be destroyed with solvents that are too acidic. 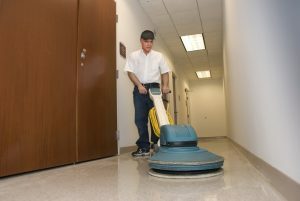 In order to maintain your floor in its original condition, hire a professional floor cleaning company that knows the subtle differences between the various styles of flooring and has the equipment and quality workmanship to complete the job with thorough and friendly service. 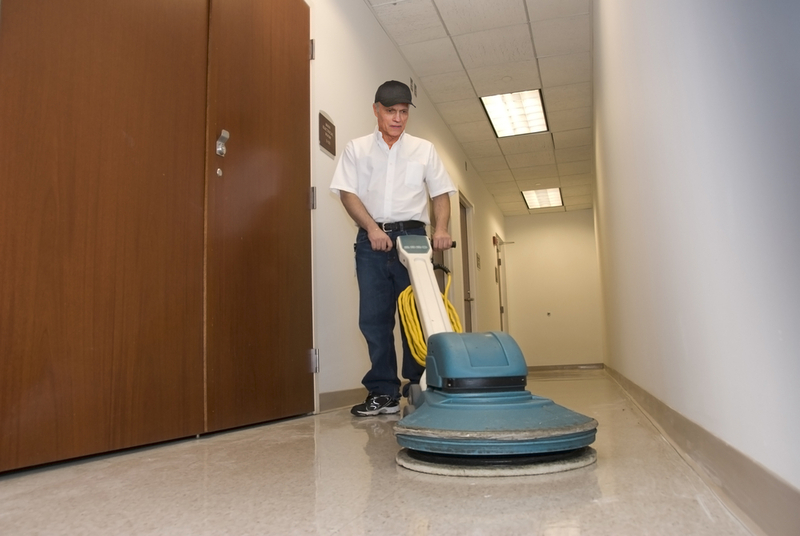 At Summit Janitorial, we have the experience and commitment to keep your business looking new year after year.